TODAY’S GAME:The Generals continue their 5-game homestand tonight at 7:05 against the Pensacola Blue Wahoos. This is Pensacola’s 1st ever trip to Pringles Park. The Wahoos took 3 of 5 from Jackson May 1-5 at Maritime Park on the Bay. The Blue Wahoos are formerly the Carolina Mudcats and Double-A affiliate of the Cincinnatti Reds. GENERALS RECAP: The Generals used a stellar performance by Danny Hultzen to shutout the Pensacola Blue Wahoos 5-0 at Pringles Park Monday. Hultzen tossed 6 shutout innings, allowing 5 hits and striking out five to improve to 5-3. 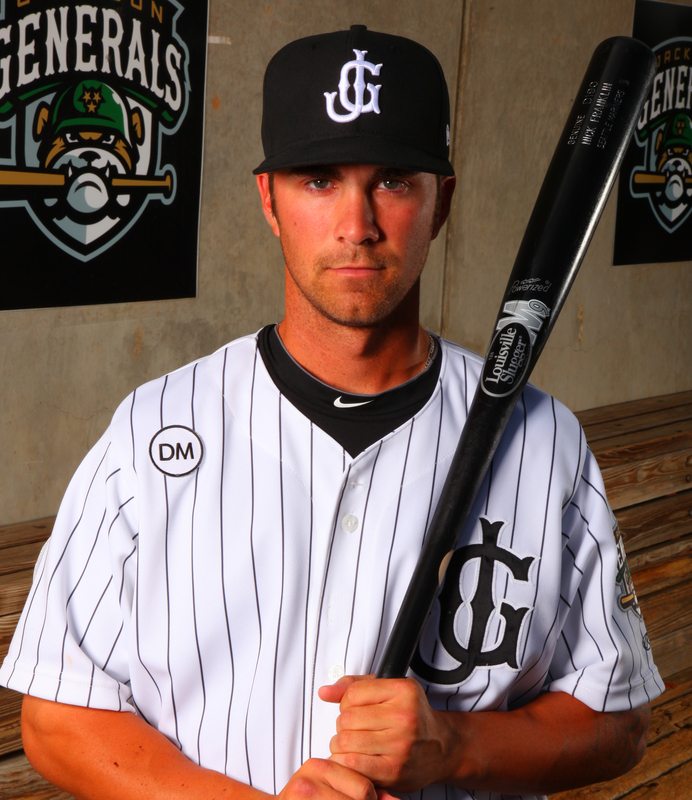 Nick Franklin started the Generals’ offense in the first inning by lining his first of two triples to right field. 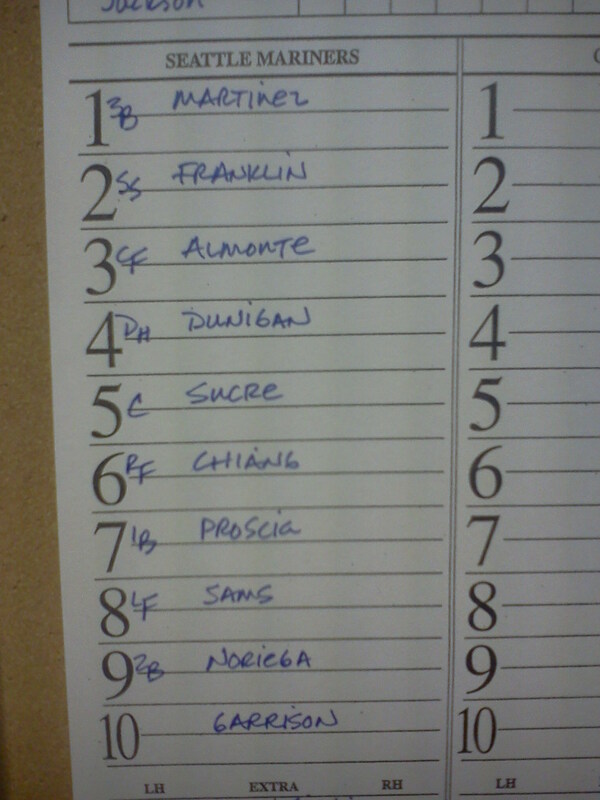 Denny Almonte then doubled to right and drove in Franklin. Almonte was brought home by a Jesus Sucre single to left. The Generals scored two more runs in the fifth inning on Almonte’s eighth home run of the year. The 2-run shot to right field hit off the scoreboard and expanded the lead to 4-0. Gabriel Noriega got his 10th RBI of the year in the sixth inning when Eric Campbell came in on a line drive to right field. Relievers Jandy Sena and Moises Hernandez combined for three scoreless frames behind Hultzen to complete the shutout. Nick Franklin, Denny Almonte, and Jesus Sucre recorded two hits in the win. FIRST TO 30 WINS: The Generals are the first team to 30 wins in the Southern League this season and lead the league with a 2.94 team ERA. This marks the quickest to 30 wins for the Jackson franchise since 2005. The next closest is Mobile with a 3.34 ERA. WHO’S HOT? : INF Nick Franklin has hit safely in 8 of his last 10 games, batting .405 (15×37) with 5 runs scored, 4 doubles, 4 triples and 6 RBI. -> LH Bobby LaFromboise has allowed only 1 earned run in his last 22.0 innings in relief (0.41 ERA). During his last 13 relief appearances he has limited opponents to a .145 average (11×76), while walking 4 and striking out 24. He has not allowed a hit to the last 16 batters faced (1 BB, 5 K). THE INCREDIBLE HULTZ: After allowing 5 runs in 4.0 innings in his first start of the season, Danny Hultzen has allowed only 5 earned runs in 52.2 innings (0.86 ERA), lowering his ERA from 11.25 to 1.59 ERA. Overall in 10 starts this season, Hultzen is 5-3 with a league best 1.59 ERA (10 ER, 56.2 IP). He has limited opponents to a league best .155 average (30×193), while walking 25 and striking out a league best 61. THE VETERAN CAMPBELL REACHING: 27-year-old utility man Eric Campbell has reached base in 21 straight games, the 2nd longest active streak in the Southern League (1 behind Mobile’s Mark Krauss). During the streak Campbell is batting .307, with 2 home runs and 13 RBI. The streak began on May 6th. THE FLAME THROWER: RH Carter Capps has not allowed a run in his last 12.2 innings in relief (9 games). This season he is 2-2 with 5 saves and a 1.78 ERA (5 ER, 25.1 IP). He has limited opponents to a .219 (21×96) average, while walking 5 and striking out 35. Capps has held opponents scoreless in 15 of 18 relief appearances this season. His 12.43 strikeouts per 9.0 innings currently ranks 3rd amongst relievers in the Southern League.